As World War II comes to an end, a group of German POWs, boys rather than men, are captured by the Danish army and forced to engage in a deadly task-to defuse and clear land mines from the Danish coastline. With little or no training, the boys soon discover that the war is far from over. Inspired by real events, "Land of Mine" exposes the untold story of one tragic moment in post-war history. Land of Mine was released on VOD 686d ago in the US. Based on 13 Land of Mine VOD reviews, Land of Mine gets an average VOD review score of 76. The score for all versions is 76 based on a total of 39 reviews. 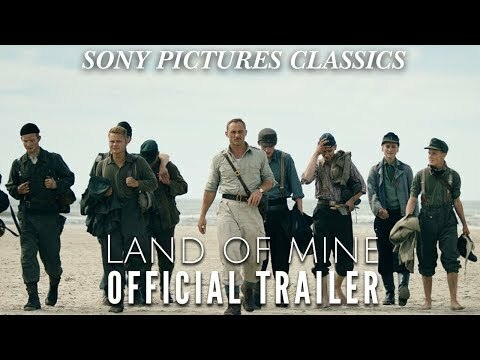 Both grimly naturalistic and infused with classical values at their most thoughtfully composed, Land of Mine is epic but deeply intimate; elegant but tough. Denmark’s use of teenage German POWs to clear land mines makes for searing, timely drama. The Oscar-nominated Land Of Mine uncovers another World War II horror story. After World War II, young German POWs must clear Nazi landmines from Denmark’s west coast with their bare hands. Danish director Martin Zandvliet dramatizes a fascinating World War II story about German prisoners put to work defusing land mines along the coast of Denmark. A little-remembered chapter from WWII's immediate aftermath in Denmark is dramatized in this potent and accomplished feature. The film is sometimes too sentimental, too predictable in its drift, but electric in individual moments. Land of Mine’s fitful jolts of suspense can’t compensate for the screenplay’s wholly familiar trajectory.